Songs of triumph, power, healing and victory. This new album from Bethel Music features words of breakthrough and moments of God's presence. Looking for worship that celebrates God's triumph? Victory from Bethel Music is an album the encourages Godly breakthrough. These songs are written to help lead you to a place of victory. Bethel Music's latest album VICTORY features 14 confident declarative songs recorded live at Bethel Church. The album is inspired by the story of King Jehoshaphat and the unlikely victory won by sending worshipers to the front lines of battle in 2 Chronicles 20:22 "As they began to sing and praise the Lord set an ambush against the men who were invading Judah and they were defeated." 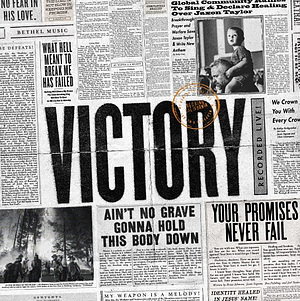 VICTORY offers a diverse sonic landscape ranging from rustic gritty tones in songs like "Ain't No Grave" and "Stand in Your Love" to more anthemic familiar sounds in songs like "Promises Never Fail" and "Victory is Yours". With an unwavering confidence in the goodness of God VICTORY invites listeners into greater faith and ushers them through the doorway of breakthrough. 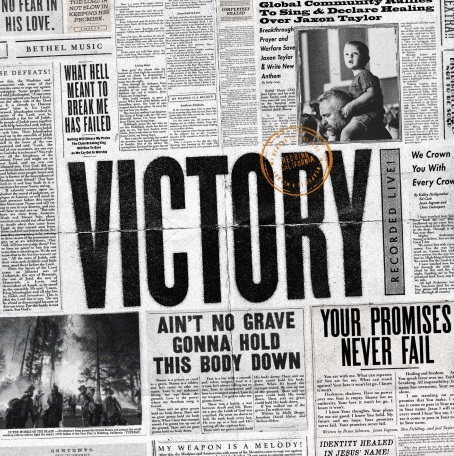 Victory by Bethel Music was published by Bethel Music in January 2019 and is our 5th best seller. The ISBN for Victory is 0653437581439. This new album by Bethel Music - Victory is simply amazing. I love it! My husband thinks this is the best ever produced C.D. from Bethel. I have found precious worship time with this C.D! I found this album to be full of encouragement. I had lost a Christian friend recently to cancer and wanted to listen to worship music which would encourage me and build me up. As the title suggests this album is full of songs with amazing victorious lyric that urges you to worship our God who has beaten the power of the grave . Well worth buying. I don't think you will be disappointed. Bought it for one song and now I love nearly everyone. Take a peek at some articles related to Victory. Got a question? No problem! Just click here to ask us about Victory. Now Playing: Raise a Hallelujah Your browser does not support the audio element.